When it comes to online income, October surpassed my expectations and then some. This was my best month ever, which is something I feel like I have been saying every month. I still can’t believe I'm actually making money from home – or at the coffee shop – or on the go. As I mentioned a couple months ago, I renamed this report to my monthly online income report. Originally these monthly posts started off as solely blog income report, but now that I have made the leap to freelancing full time (eek! ), it makes more sense to change the title. This is my eighth online income report to share! This report only includes income I received from the month of October. I don’t include any money that is pending. If the money isn’t in my bank account, it doesn’t make it in this report. This is the best way for me to track how much money I am making on a monthly basis. October was also my first half month freelancing full time! I decided to leave my job and my last day of work was October 5th. Can you believe this? I was adding up the total and kept asking myself, is this right?! One year ago I was reading income reports from other bloggers and trying to figure out how they did it, and now it's actually happening for me. I'm so excited! So how did my online income more than DOUBLE from September? Let's break down each category above. It took almost a YEAR to earn my first paycheck from Google Adsense. Last month, I made more in one month than the first nine months. That's crazy! I have now earned two paychecks in a row. I chalk this up to an increase in traffic and page views. This was my first paycheck from this advertiser! Media is great because they have some amazing customization features. You can create ads to matching your blog when it comes to hex color, font, style, etc. The downside is I earn 25% – 40% less a month than Adsense. I'm all over the board with this advertiser and need to take a hard look at the numbers. Perhaps I'll do a future post about page views versus income between the two advertisers. I recommended Building a Framework to a couple of people (it's one of the best books out there on how to start blogging) and received a referral fee for this! October was way above normal for freelance income. I expect my freelance income to go back down in November. Part of my online income boost was accepting a big freelance job that I had no business accepting. It was a four week project that started in mid September. I knew it was going to end in mid-October, which was exactly around the time I would be packing and moving across the country. Even though I set my inbox to VaCa mode for the move and let all my clients know I would be unavailable for a week, I kept this job going. I won't lie; it was tough. During the move, after checking into a hotel having just spent 12-15 hours driving, I was up late on my laptop and hustling hard. I pretended everything was normal so there wasn't a break in my work flow. Smooth, right? Second, I had a spike in consultations. On my Hire Me page, I offer a $60 consultation to review a blogger's Pinterest board, their photos on their blog and give them specific tips, advice and guidance on how to improve key areas. This has blown up lately and it's so exciting. 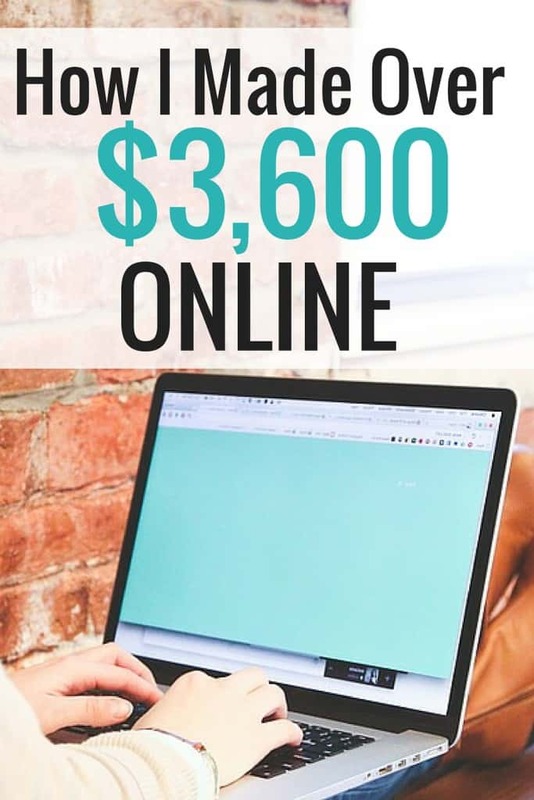 I think for many bloggers this is an affordable price that offers instant actions to take, so it's a win-win for everyone. It takes a few hours for me to put everything together though, so I need to learn to work faster or raise my prices. Let me know if you need help! Third, bloggers have sought me out for customizations and monthly help with their images and managing their Pinterest accounts. I have done very little pitching, so when people reach out to me it's very exciting. I'm pretty shy about this kind of thing and pitching is one area that totally freaks me out I really need to work on. If you're a blogger or a small business and need help, check out my Hire Me page or shoot me an email. I am also providing consulting services related to my career niche. When I decided to leave my full time job, I was determined to find a location independent job. I knew it was possible, but really had to scour the internet to see what was out there. After a lot of searching through different job boards, I found a job board related to my field of work and have been successful at landing small freelance jobs. The job boards I searched included a huge array of career fields, so I think it’s possible to find almost any job online these days. If you want to start earning online income, there are so many different niches to choose from. Many bloggers are writers and provide general VA services, but don't think you are limited to just this. If you are great at taking photos, start selling them on Etsy or some other online platform. If you are ahead of the curve when it comes to making killer newsletters, go for it. These niche specialities are amazing to offer to bloggers who are working independently and trying to do everything themselves. This can not only help free up their time, but provide awareness about niche help they might not have realized they need. Change things up, be different and go after what you are good at. This helps you stand out and get noticed! I spent less than 3% of my income on business expenses! Just because I am freelancing doesn't mean I need to have outrageous costs. Right now I'd rather work longer hours if that means saving money. In the future, I will have to think long and hard about how to invest my money if it means getting a large return. This month I remembered to cancel Board Booster as I use Tailwind full time for my Pinterest strategy. I will save $10 a month or roughly $120 a year. There is no Pinterest scheduling tool better than Tailwind and the analytics provided is off the charts. PayPal fees are something I forgot to include in last month's online income report. I lose a small percentage with clients that pay me through PayPal. Some clients pay me directly (and without me asking) as a “Friend or Family Member” so I don't lose a percentage of the sale. I get nervous asking my other clients to do this, so it is what it is. I might need to look into a better system of invoicing so I can keep more of my hard earned money. I don't include Bluehost as I have paid up for the next three years. 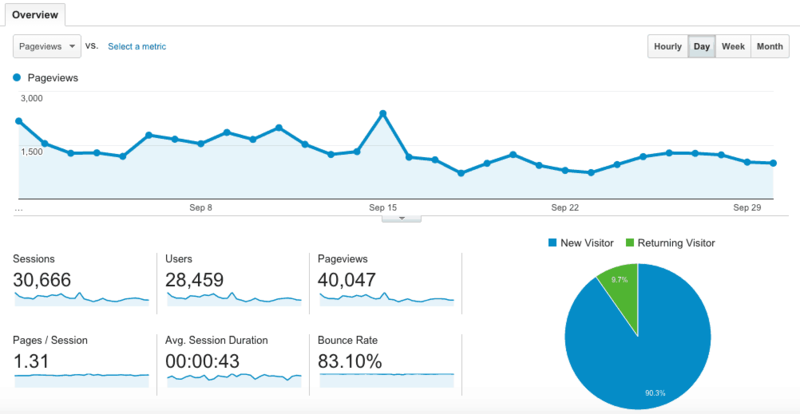 Because I figured I might as well overshare, here is a snapshot of what my traffic looked like in September. This was my highest page views to date. Clearly I'm not an overnight success story or have 100,000+ page views. But if my blog can grow a little each month, I'll take it. Increase my affiliate income. I have spent zero time on this the past few months. I barely write about companies or services that I really believe in, but I'm thinking about creating more tutorials about why they are awesome and perfect for people who like to blog. Guest blog on a few websites about how useful creating amazing images are for Pinterest, the importance of a pinning schedule, etc. 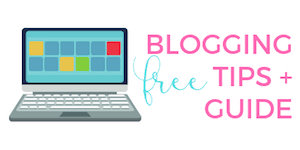 If you think your blog would benefit from this, contact me! Pitch more. Ugh, this is so not my thing but I need to get over this fear and try. Even if someone says no, I've put them on alert about my services incase they need me in the future. Create a free useful .PDF that readers can download directly in this post. 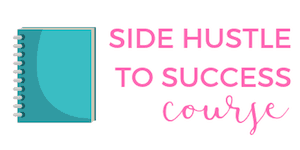 This side hustle post is from last year, but it's my most popular post to date. I get weekly emails asking for more help on this. If I created a worksheet and guide that people could use to know the exact companies I worked with, it would be really helpful for them. Plus it might cut down on my inbox and responding to emails. 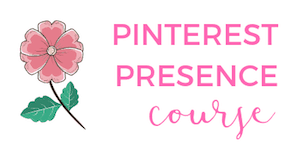 I am in the beginning stages of creating an ecourse for bloggers that is similar to my Pinterest and image consultations. It would be a workbook of sorts and I could reach more people. Customers could go at their own pace, but have total guidance with the process. I would also add a private Facebook group where bloggers could have a forum to ask questions, share ideas, etc. I am really excited about this and plan to have the ecourse available in late January or February. Update: This course is available! Well, if you have read up to this point, thanks for sticking with me 😉 This might have been information overload. I like being able to provide a transparent review of what's working, what's not working and how to improve this blog. We are all in this together, whether you are already a blogger or thinking about starting a blog. Ok November, let's do this! Do you find online income reports useful? Awesome job, Kristin! I’m happy for you 🙂 And just my unsolicited two cents here but I think it’s probably worth it to keep Media.net. My Media.net earnings used to be about a third of what Google Adsense was but since my blog has grown it’s a tight race between the two. I earn almost exactly the same from each ad network and the Media.net ads are so much nicer looking. I think the longer you’re with them the better they get at displaying the right keyword blocks and also customizing your ads for maximum effectiveness. They’ve changed my ad style/colors twice this year with good results. You’re doing great and I can’t wait to see you keep growing. And I LOVE the new blog design. I just discovered your blog through Frugally Blonde who shared one of your posts on Pinterest. But I love what I see and hope to be a regular reader. Just curious, what plugin do you use for the newsletter sign up box that you include in your posts? I like the clean look much better than the one I’m using. I remember when you just started to working your way to making the big bucks online and I am so proud of you! This is really awesome and you are proof that you can really make it if you try in this business. Wow! How in the heck did you jump to 40k page views per month? That is awesome. Im really happy this is taking off for you. Wow! Sounds like you’ve been hustling hard and going far! Congrats on a great month!